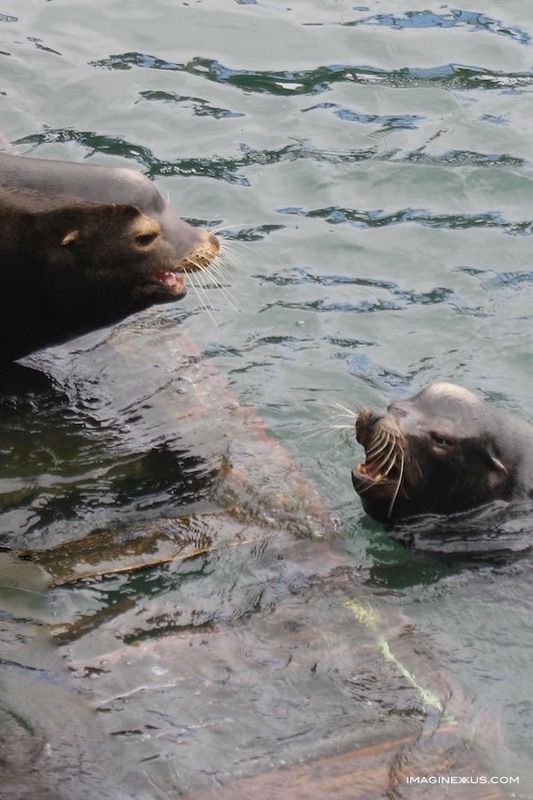 Newport Sea Lion Concerto: Songs in Sea Sharp — . We drove toward the historic Bayfront. There was no need for a map or GPS. We knew right where to go for the concert—just follow the sound of the “singers” warming up. Just past the fish and crab packing plants we headed toward the performance. A sizeable human crowd lined up along the railing overlooking the water. Down below on the floating platform were dozens of pinnipeds smooshed together every which way to see this star duo perform. Back and forth they belted out their duet. We weren’t able to distinguish much difference in the lyrics whether the two sang solos or together. Nevertheless, we had to applaud the one who sang while treading water at the same time. Not sure even Pavarotti could’ve done that. If you enjoyed this story in our series, you may also enjoy two other stories about the Newport area’s beach and whales. We also encourage you to check out any of our books.